Shi’ite Insurgency in Yemen: Iranian Intervention or Mountain Revolt? 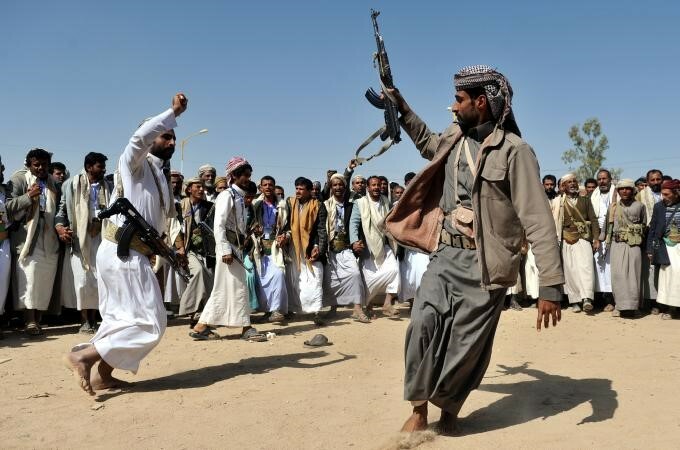 In the midst of growing political tensions between Iran and the United States a Shi’ite rebellion in the remote mountains of northwest Yemen has created suspicions that Iran may be attempting to open a new anti-American front to weaken U.S. efforts in the region. Yemen’s president, Ali Abdullah Salih, has been a resolute ally of the U.S. in the War on Terrorism, but has used the alliance to reverse a once-promising democratic reform process. After a short truce fierce fighting has resumed, as President Salih sought to eliminate resistance from the radical Shi’ite movement. This new conflict follows similar expeditions in the past few years against well-armed groups of Sunni militants. Yemen’s Zaydi Shi’ites are well known for passionate loyalty to their Imams (traditional dual religious/political leaders) but are regarded as moderate in their practice of Islam. With the reported growth of the rabidly anti-Shi’ite al-Qaeda organization in Yemen, it has been suggested that Iran may intervene in support of the Zaydi Shi’a. In the past, Sunni veterans of the anti-Soviet jihad in Afghanistan were used to control any resurgence of the Zaydi Shi’a, from whom the old royal family was drawn. Zaydi Shi’ism is one of three main branches of the Shi’a movement, together with Twelver Shi’ism and the Isma’ili branch. Unlike the other branches, the Zaydi-s are restricted almost solely to the Yemen area. Their form of Shari’a law follows the Sunni Hanafi school, which aids in their integration with the Yemeni Sunnis. The insurgency began June 18. Since then the government has unleashed the full force of its arsenal of jets, armour and artillery to pound the lightly armed “Believers.” On July 23, operations were suspended to allow religious scholars a last chance to cross the lines and convince al-Houthi of the mistakenness of his rebellion. Negotiations with al-Houthi have failed in the past, but with Yemen’s existence relying on a delicate balance of tribal allegiances there is usually a preference for negotiated settlement. Many believe that the President’s insistence on a military solution derives from the rude reception he received on a visit to the mountains earlier this year. The campaign against al-Houthi was expected to be quick, but the Shi’ite fighters have lived up to their warrior reputation, giving fierce resistance to what should have been an overwhelming government force. Government troops have had to struggle up passes similar to the one where a well-equipped column of 10,000 Sadaa-bound Ottoman troops was wiped out by the Zaydis in 1904. The savagery of the fighting and the number of casualties on both sides (300-400 dead so far) has been a shock to many Yemenis. Though the “Young Believers” are only somewhere between 1,000 to 3,000 in number, many Yemenis believe that al-Hourthi is only giving voice to opinions widely shared in Yemen. In urban areas like Sanaa, however, there is some disdain for yet another Mahdist-style movement that will come to a bad end for its superstition-fed adherents. Even Abdul Majid al-Zindani, leader of the radical wing of the Islamist Islah party, has warned against the “serious consequences of extremism and all forms of fanaticism, which are the major reason behind the civilizational decline and backwardness of the Muslim nation”. A powerful political figure and a former comrade of bin Laden during the Afghanistan war against the Soviets, al-Zindani has recently been accused of collecting funds for al-Qaeda, only to be strongly defended by President Salih. Like many of Yemen’s clerics, al-Zindani called for a Muslim jihad against American and British troops in the early days of last year’s Iraq campaign. The ruling General People’s Congress Party has accused Iran of direct support for the Saada uprising as an effort to create a new front to drain U.S. resources in anticipation of American attacks on Iran and the Hizbullah of southern Lebanon. The President has personally avoided naming Iran, but left little doubt to whom he was referring in making charges of interference by ‘foreign intelligence agencies’. There have also been suggestions that al-Houthi has received financial assistance from the Shi’ite communities of Kuwait and the United Arab Emirates. The insinuation of Iranian involvement came only days after the signing of several new economic agreements between Iran and Yemen and the extension of a 10 million Euro credit by Iran following the conclusion of the 7th meeting of the Yemen-Iran Committee, a forum for bilateral relations. In Yemen’s long civil war of the 1960s, Iran gave financial aid and a small quantity of arms to the Royalist government of the Zaydi Imam, though its contribution was small compared to that of Sunni Saudi Arabia. The Shah’s help had less to do with Shi’ite fellowship than with hindering the regional ambitions of Nasser, who had already deployed the United Arab Republic army on the Republican side. The Republicans were themselves dominated by a mainly Zaydi officer corps and most Shi’ite and Sunni tribes were usually just a bribe away from changing sides. 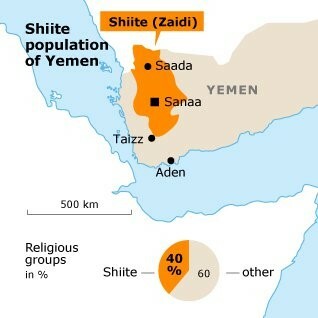 For the most part, the Arab Zaydis of Yemen have continued to evolve in isolation from their Shi’ite brethren in Iran. Efforts have been made to cooperate with Saudi forces in securing the poorly defined and largely unpopulated Yemen-Saudi border in order to prevent the infiltration of Islamist militants fleeing Saudi Arabia’s own crackdown. Saudi Arabia has also long complained of the traffic in arms from Yemen. The Saudis’ construction of a security barrier along the border has outraged opposition groups in Yemen, who compare it to Israel’s wall in the West Bank. Official relations between the Saudi kingdom and Yemen have rarely been closer than they are now. In July, Saudi Arabia returned to Yemen over 40,000 square kilometers (mostly in eastern Hadramawt province) in accordance with the border treaty of 2000. On July 24, both nations exchanged 15 suspected terrorists for prosecution. Questions have arisen over just how far the new Saudi-Yemeni cooperation extends. The Saudis denied charges last month from al-Houthi’s camp that the Saudi Air Force was involved in a joint Yemen-Saudi bombing campaign that destroyed several villages. The death of numerous Zaydi civilians in air and artillery attacks has brought the attention of Amnesty International, which has asked the Yemen Interior Ministry for an investigation. At the moment there appears to be a movement within some parts of the U.S. administration to identify Iran as a growing threat to U.S. interests, alleging Iranian aid to al-Qaeda before and after the 9/11 attacks. In making ‘links’ between Iran and the Zaydi insurgency there is a tendency to integrate Shi’ite movements within a vertical command structure (with Tehran at the top) that does not accurately reflect historical, social, linguistic, ethnic and even religious differences between the branches of Shi’ite Islam. Iran weathered similar political storms during the invasions of Afghanistan and Iraq with surprising patience, perhaps expecting the U.S. to exhaust itself before it can strike Iran. Despite the encouragement of Israel, the U.S. is unlikely in the short term to take military measures against Iran, a much larger and formidable adversary than Iraq. The usefulness of the Saada rebellion as an Iranian counter-strategy is questionable; the uprising is not large enough to influence the balance of power in the region or to draw away significant American resources in the way a general Sunni rising would. The attractions of militancy to a traditionally conservative and moderate community should sound a warning that the Salih government may be leading Yemen into a period of renewed civil conflict that may easily spill into the international arena. A more important threat remains from Yemen’s Sunni extremists. On July 1, the Abu Hafs al-Masri Brigade threatened to drag the United States into ‘a third quagmire’ in Yemen (after Afghanistan and Iraq) with the cooperation of local Islamist groups. Yemen’s Sunni radicals played a prominent role in the growth of al-Qaeda; the region may continue to provide an important source of manpower for international terrorist operations. Homegrown militant groups like the Islamic Army of Aden also continue to provide military challenges to the Salih government. With U.S. forces unexpectedly overextended in Iraq, the U.S. has so far avoided a large-scale military commitment in Yemen, preferring to aid the Yemen regime in its own local war against Islamist extremism. Yemen’s experiment with democracy is withering as Salih, president since 1978, attempts to create dynastic rule at the head of a one-party state. Lately Salih has attempted to reverse the process of integrating Islamists into the government. The pro-US position of the President (and its offer of troops for service in Iraq) is hardly a representation of popular sentiment in Yemen. Salih’s control of Yemen will be sorely tested in the days ahead as the government simultaneously tries suspects in the 2000 bombing of the USS Cole and the 2002 attack on the French tanker Limburg. Salih has established a pattern of playing off Islamists against Socialists, with the intention of eliminating both as potential opponents of the GPC. While Salih grooms his son as his successor, Yemen threatens to become a replica of the hereditary Ba’athist presidencies of Iraq and Syria. The stifling of democracy and the alienation of Islamists from the political process are contributing factors to the radicalization of Yemen’s Sunni majority. With new challenges from a revival of Southern separatism and the unexpected insurgency in the Zaydi heartland, Yemen has become a new Middle Eastern tinderbox. The Zaydi Imams ruled Yemen from the ninth century until 1962, with interruptions. The Shi’a represent roughly 40% of Yemen’s 20 million people. 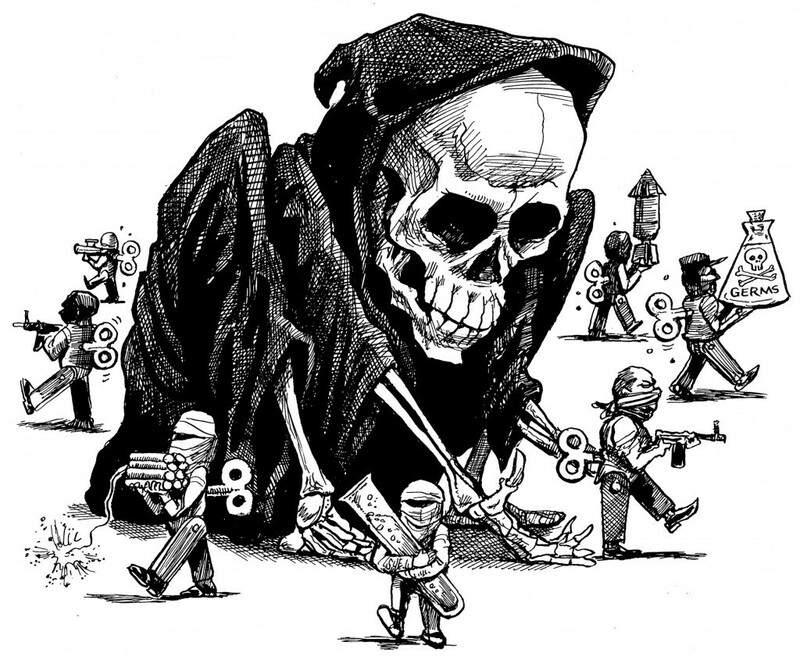 How are we to evaluate the success of a “War on Terrorism”? On the one hand, the United States has not experienced a foreign terror attack on its soil since 9/11. On the other hand, of all the large and small conflicts that have erupted overseas following 9/11, none have been brought to a successful conclusion. In fact, nearly all are growing worse. In addition, there seem to be multiple “Wars on Terrorism,” with the U.S., Israel, Russia, China and others all apparently fighting their own battle, often with different objectives, opponents and tactics. The failure to define the War on Terrorism (WoT) has been followed by a failure to set objectives. Even the limited yet essential objective of seizing bin Laden and al-Zawahiri failed to hold the interest of policy-makers in Washington intent on regime-change in Iraq. With the conflict in Iraq sinking into a pattern of terrorist violence and retribution, it has become nearly impossible to separate the Iraq campaign from the wider WoT. Long-term strategic objectives, especially those in the resource sector, have also complicated the conduct of the WoT. Aside from the continuing conflict in Afghanistan, there are a number of regions worth watching as we enter the fourth year of the WoT. Russian Republic: After Russia’s recent wave of terrorist attacks there is a pervasive feeling that the President’s once bold response to terrorists (“We’ll kill them in their outhouses!”) has encountered a bitter reality: the state can no longer control Russia’s spiral of violence. The President’s identification of democracy as one of the root causes of terrorism has found little support at home or abroad. As Putin attempts to ride a boiling-pot of political, ethnic and religious tensions he may feel compelled to lash out in some direction to bring the state together. Sadly, this rationale was already used to ill-effect when the then-unknown Putin sought voters’ support in 1999 by promising a quick and victorious war in Chechnya. Unfortunately, the deep corruption in Russia’s security forces ensure a steady supply of arms and documents to terrorists and guerrillas alike. Georgia: Following the Beslan massacre, President Putin announced that Russia was preparing pre-emptive strikes on terrorist targets beyond its borders. Moscow is angry with President Saakashvili’s attempts to reconsolidate the Russian supported breakaway regions of Abkhazia and South Ossetia. Russia maintains that Georgia’s Pankisi Gorge still harbors “international terrorists” (with a surprising confirmation from the U.S. ambassador), a possible pretext for wider military operations. The North Caucasus: As Chechnya enters its third century of resistance to Russian rule, it has become a showcase for the fight between conventional guerrilla tactics and outright terrorism as a means of struggle against the state. Practitioners of terrorism such as Shamyl Basayev have come to realize that an endless war of attrition against an enemy 250 times larger holds little possibility of success, regardless of how well it is fought. With little chance for a decisive battlefield victory so long as Russia continues to throw new troops into the cauldron, Basayev is seeking a cathartic act of violence that will once and for all force Russia from Chechnya. After 5 years of war, Basayev also believes that so long as Chechens “fight fair,” their struggle will remain Russia’s “internal matter.” Basayev seems to be taking a fatalistic regard to his own future, which makes him even more dangerous. Despite bitterness over the West’s failure to support the Chechen cause, Basayev is unlikely to abandon his focus on Russia in favor of international targets. Elsewhere in the Caucasus, Ingushetia has been drawn into the conflict and Daghestan’s long pattern of political violence threatens to boil over into rebellion. Balkar militants in Kabardino-Balkaria have also been engaged in a little-known campaign of bombings and attacks on security forces. Uzbekistan: This strategically important country is now host to an important U.S. military base. This spring’s outbreak of violence in the cities of Tashkent and Bukhara demonstrated the continuing radicalization of the population in the face of growing political repression. Uzbekistan has become the home of the modern “Caliphate” movement, which seeks to revive the Islamic Caliphate as a pan-Islamic political model. (Mustafa Kemal eliminated the role of Caliph, last filled by the Ottoman Sultans, in 1924). Important elements of the Islamic Movement of Uzbekistan, including its leader Tahir Yuldash, appear to have survived the WoT in the tribal regions of northwest Pakistan. Uzbekistan’s Hizb ut-Tahrir movement, a leader in the revival of the Caliphate, is making progress in other parts of Central Asia, partly as a result of Islamists fleeing the Karimov regime for neighboring countries. Meanwhile, Karimov has learned to play his two suitors, Russia and the U.S., against each other in order to consolidate his personal rule. Pakistan: If the elimination of al-Qaeda is to be undertaken in any seriousness, it will involve Coalition operations in Pakistan’s difficult Northwest Frontier region. Pakistan’s own raids in the area have yielded few results other than fanciful gun battles with Ayman al-Zawahiri and small defeats blamed on the presence of the ubiquitous Chechens. Any coalition operation in the region will likely be met with fierce opposition from local tribesmen. Iraq: The great danger from Iraq will be the internationalization of this conflict, should Coalition forces fail to establish a working democracy in the nation. With the decreasing likelihood of this result in the near future, it is possible that the Iraqi resistance might take their fight overseas. Despite their reputation, few Iraqis have figured as players in international terrorism. If the many emerging forces in Iraqi politics are again repressed it is almost inevitable that terrorist groups will attempt to force international involvement through extra-territorial violence. Yemen: This South Arabian country remains deeply unsettled as the military struggles to enforce the rule of President Salih, whose alliance with the U.S. is widely resented. Yemen has long been a recruiting ground for al-Qaeda, as well as hosting a variety of home-grown militant movements. With a few exceptions, there has been surprisingly little innovation in terrorist methods. High explosives, packaged as a car-bomb, a truck-bomb or a pedestrian suicide-bomber have all proven easier and more effective to carry out than the daily parade of nightmarish scenarios presented in the media. The media’s lurid and prolonged fascination with bizarre methods of mass destruction bears little resemblance to reality. It is easier to kill someone with a bullet than anthrax. It easier to blow someone up than it is to induce them to ingest ricin. A recent trend that will likely be seen more often is the large-scale coordinated attack, combining targeted killings, bombings, and the temporary seizure of government installations. Examples of this occurred in Ingushetia and Uzbekistan earlier this year. In response to terrorism the U.S., Russia and Israel have all adopted a pre-emptive strike policy (including assassination) without reference to the UN Security Council. Unfortunately, acceptance of the “pre-emptive strike” policy invites covert manipulations and provocations designed to provide a pretext for war. The dangers of such policies in a volatile world are clear from history: WWI began with a political assassination, WWII with a “pre-emptive” strike. The fallout from the WoT has created a new set of dangers and challenges. Foremost is a growing willingness to accept democratic reversals in nations “on-side” with the WoT, such as Yemen, Pakistan and Uzbekistan; closely related is the failure to address the concept of “state terrorism,” an important issue in many parts of the world. Both of these issues strike at the moral legitimacy of the WoT. The use of torture has compounded this effect, taking most of the moral steam out of the WoT and irrevocably alienating many in the Muslim world who would otherwise be open to the U.S. message of democracy and the rule of law. A lesser known outcome has been the collapse of “the War on Drugs.” In the last year of Taliban rule, opium production was nearly eliminated. Today Afghanistan provides three-quarters of the world supply, as neither the Coalition nor NATO forces consider drug enforcement part of their operational mandate. As the blight of heroin use spreads across Asia, disease and corruption follow in its path. The list of potential flashpoints is unfortunately long and far from complete, but there is a light at the end of the tunnel. Most people in the Islamic world don’t take bin Laden seriously. In the years before and after 9/11, he has still to form any kind of political platform or suggest some alternative to the current world order other than a vague “return to Islam.” Having seized the world stage, he is at a curious loss for words. His attacks have done nothing to improve the lot of Muslims in Palestine, Afghanistan, Chechnya, Uzbekistan, or any other scene of conflict. No state would willingly harbor bin Laden and his agents at this point, partly because al-Qaeda is an anti-state organization with no national allegiances, a lesson learned the hard way by the Taliban. His usefulness to anyone now is limited; as Shamyl Basayev says, “I don’t know him, but I’d take his money.” Bin Laden’s condemnation by many of Islam’s most radical shaykhs for bringing ruin upon a Muslim nation (Afghanistan) has been little noted in the West. Al-Qaeda is best noted for its cynicism, its willingness to consign both Muslims and infidels to the “foundation of cripples and corpses” predicted by the late ‘Abdullah ‘Azzam, bin Laden’s spiritual mentor. Its core membership forms an apocalyptic group that did not expect to survive the immediate fallout from 9/11. The elimination of bin Laden and al-Zawahiri would help bring the WoT out of the shadows and enable the West to deal more realistically with the threat of terrorism and the complexities of international relations. One of the principal inspirations for the type of Islamist ideology pursued by Osama bin Laden and his Egyptian chief lieutenant, Dr. Ayman al-Zawahiri, is the work of Egyptian Islamist Sayyid Qutb (1906-66). Qutb was an important theorist in the Islamist movement and a leader of the Muslim Brotherhood (al-Ikhwan al-Muslimun). 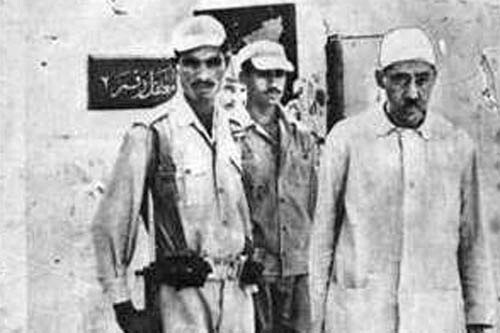 His opposition to the secular Arab nationalism of Nasser led to his execution in 1966; he was accused of plotting to overthrow the Egyptian government. Qutb’s elegant prose barely conceals the rage against injustice and immorality that drove him, but it was his militant interpretation of jihad (“striving in the cause of God”) that would later inspire Dr. Abdullah Azzam (1941-89), the late founder of the organization that would become al Qaeda. While studying at Cairo’s Al-Azhar University (Sunni Islam’s preeminent theological school), Azzam became close to Qutb’s family and legacy. Working in large part from Qutb’s ideas, Azzam transformed radical Islam from a group of disparate national movements into a potent international force during the Afghan-Soviet war.